High temperature ceramic socket accepts our G19235, G19235A, G19235B 10Watt 12VDC halogen bulb. Size of socket is about 0.68" diameter x 0.45" thick. 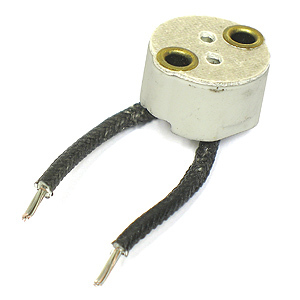 Has 1.3" leads. Sold as a package of 2.